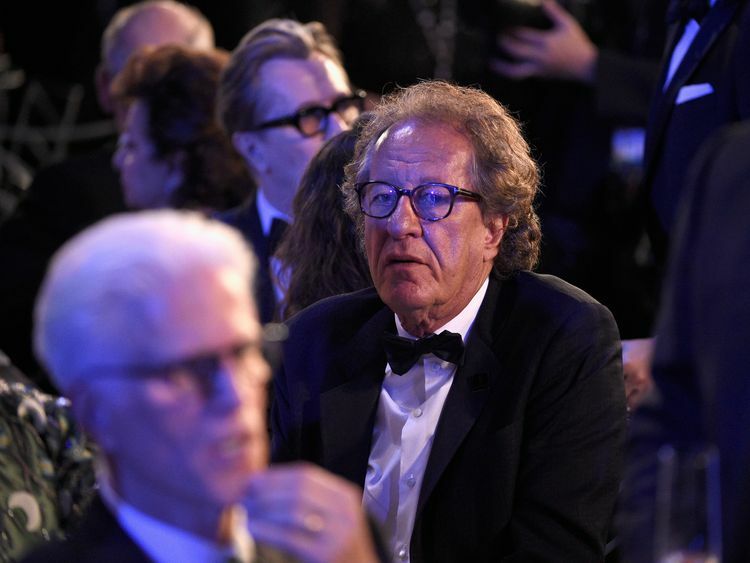 Geoffrey Rush is "barely eating" and has become "virtually housebound" since a newspaper published claims that he repeatedly touched an actress inappropriately while on stage. The Oscar-winner sued Sydney tabloid The Daily Telegraph for defamation in February over articles detailing a complaint first made public by the Sydney Theatre Company (STC) last year. He said the newspaper's coverage - which claimed he repeatedly touched a colleague during the STC's 2015 production of King Lear - portrayed him as a pervert and a sexual predator.Rush stepped down as president of Australia's screen industry academy after the STC revealed it had received the complaint, which it made public when a journalist asked if it had ever received one. "At the time the complaint was made, the complainant requested that the matter be dealt with confidentially, and did not want Mr Rush notified or involved in any investigation," it explained.Four months on, the 66-year-old's lawyer has told a court that his client - who has denied the claim - believes his status in the entertainment industry has been "irreparably damaged".In a written statement submitted to the Australian Federal Court, Nicholas Pullen said Rush had suffered "tremendous emotional and social hardship" because of the coverage. Mr Pullen revealed that his client "suffers a lack of sleep and anxiety requiring medication", has been "virtually housebound" since the claim became public, and "has lost his appetite and barely eats". "He wakes up every morning with a terrible sense of dread about his future career," he added.Rush - who has performed in the STC for 35 years - has already completed work on his next film, an adaption of the beloved book Storm Boy, which is due for release later this year. He won Best Actor at the 1997 Academy Awards for his role in Shine, for which he also won a BAFTA, and has been nominated for three other acting Oscars.He also won BAFTAs for his supporting actor roles in 1998's Elizabeth and 2010's The King's Speech, but is perhaps best known for his turn as Captain Hector Barbossa in the Pirates of the Caribbean films.